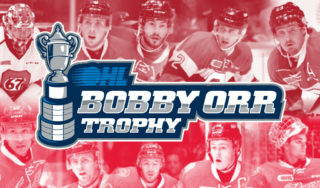 The Ontario Hockey League today announced the two schedule scenarios for the 2019 OHL Eastern Conference Championship Series for the Bobby Orr Trophy. 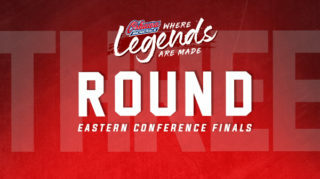 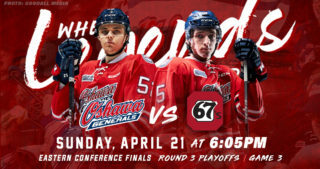 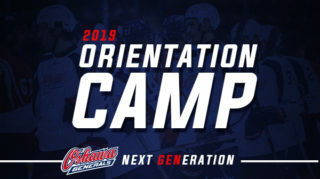 The third round series will begin on Thursday April 18 featuring the first place Ottawa 67’s hosting the third place Oshawa Generals. 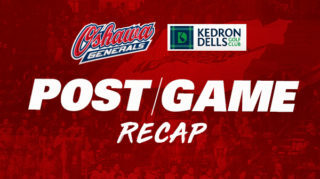 The Generals beat the IceDogs in 6 games to advance to the conference finals. 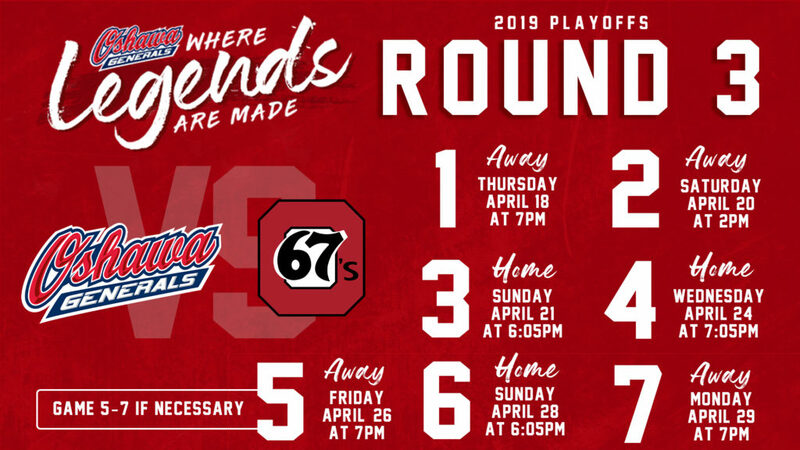 The 67’s secured their place in the Eastern Conference Final on Thursday night following a 4-0 series victory over the Sudbury Wolves. 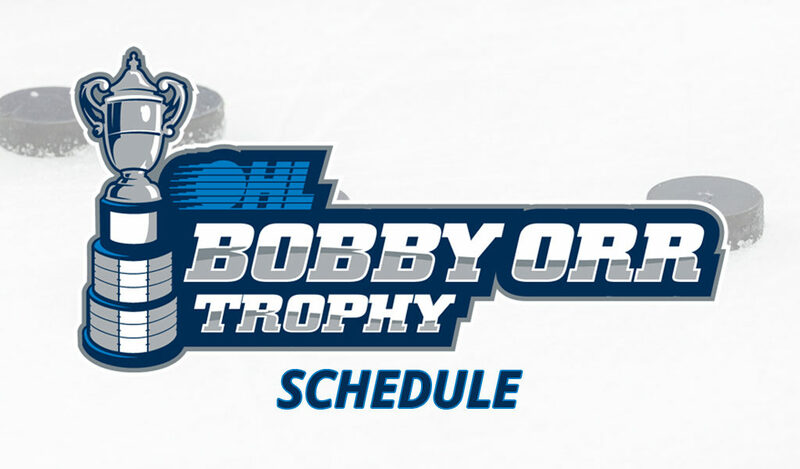 Be here to cheer on the Gens as they compete for the Bobby Orr Trophy! 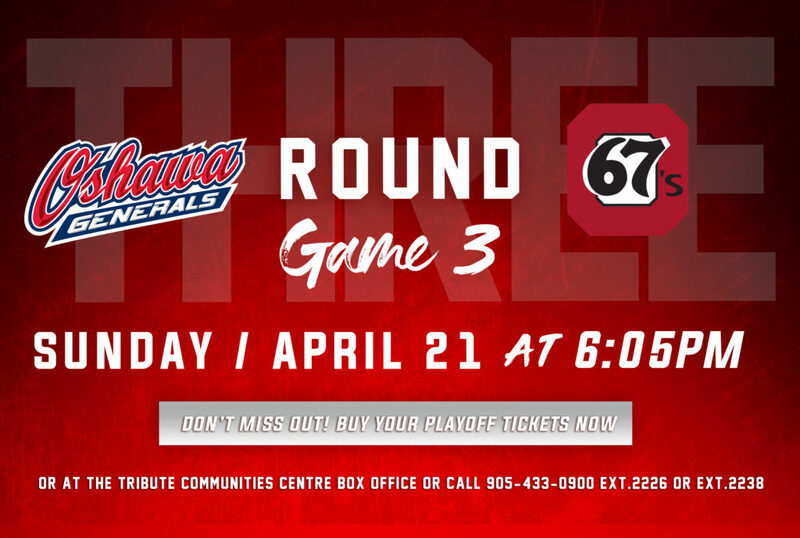 TICKETS–CLICK HERE!